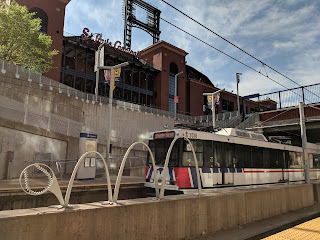 I visited St. Louis recently and rode the Metrolink light rail and found it to be a nice ride. Pros: connects some major activity centers (ballpark, airport, Union Station, Forest Park, Central West End, etc. 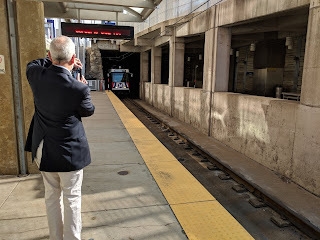 ), connects Missouri and Illinois, comfortable ride. Cons: not a network (they call it two lines but it’s really one line with branches in the Missouri suburbs), some stations (notably Airport Terminal 2) are a longish walk to the actual activity center. 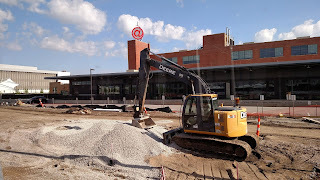 I was also pleased to see the Ballpark Village development (which I wrote about a few years ago) finally beginning Phase Two. 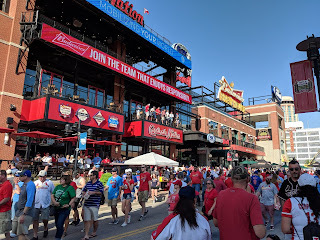 Right now, it’s mainly bars and restaurants across the street from Busch Stadium (photo below), but will soon have extensive residential, office, hotel, and additional retail space (website here). 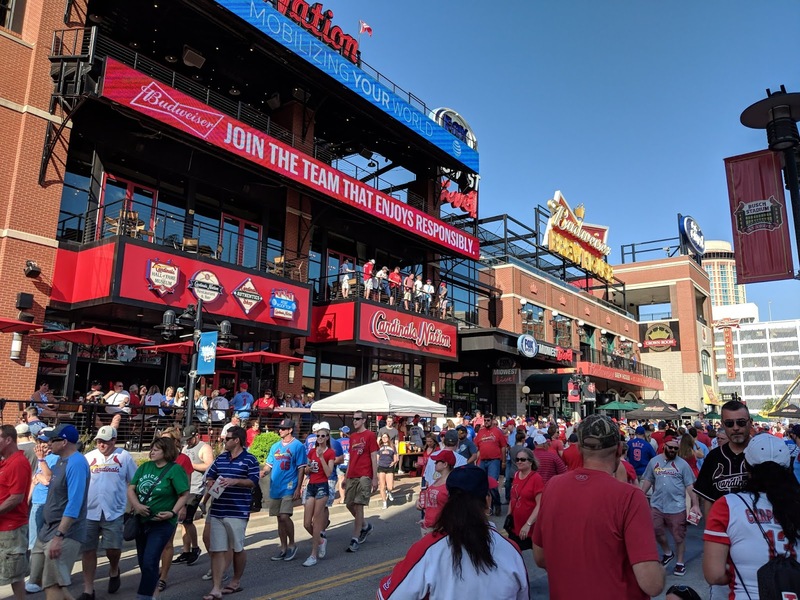 St. Louis is definitely another success story in the downtown ballpark revitalization book! One of the drawbacks of a transit line running mainly on old railroad right-of-way is that it traverses long stretches of semi-desolate industrial zones and rail yards. But this also provides an opportunity for new infill development. In St. Louis, Metrolink is building an infill station called “Cortex” after the expanding high-tech district it will serve (photo below, story here). Another TIGER grant success story!